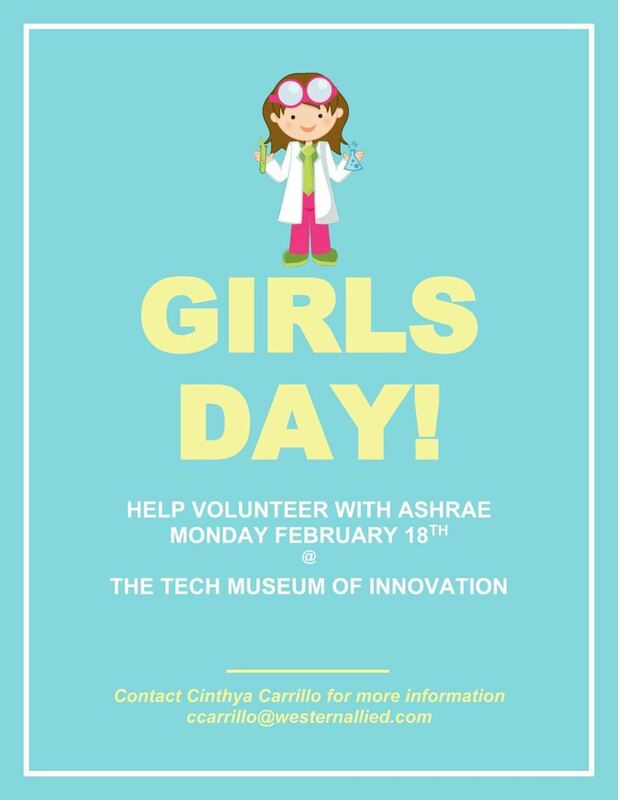 San Jose ASHRAE - Volunteer to Promote STEM at the Technology Museum of Innovation's Girl's Day! Volunteer to Promote STEM at the Technology Museum of Innovation's Girl's Day! Volunteer to help man our booth. Depending on how many people sign up we will have different time slots available that Cinthya Carrillo will coordinate. Description: Come volunteer with ASHRAE! The Tech museum of Innovation in San Jose is hosting a girls day to help promote STEM to children. ASHRAE will be hosting a booth teaching about pressure drop with bubbles. Morning and afternoon volunteer times are available at 2-3 hours increments but flexible to your schedule!